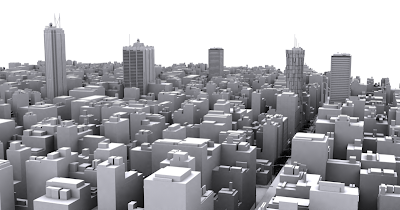 Great tutorial by Digital Urban on constructing a cityscape and a skyscraper using a plugin called Greeble. 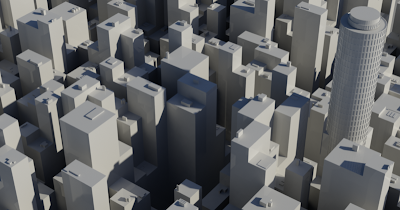 According to wikipedia: A greeble is a small piece of detailing added to break up the surface of an object to add visual interest to a surface or object, particularly in movie special effects. They serve no real purpose other than to add complexity to the object, and cause the flow of the eye over the surface of the object to be interrupted, usually giving the impression of increased size. It is essentially the small detailed technical part of a larger object. The detail can be made from geometric primitives, including cylinders, cubes, and rectangles, combined to create intricate, but meaningless, surface detail. Greebles are commonly found on models or drawings of fictional spacecraft in science fiction.